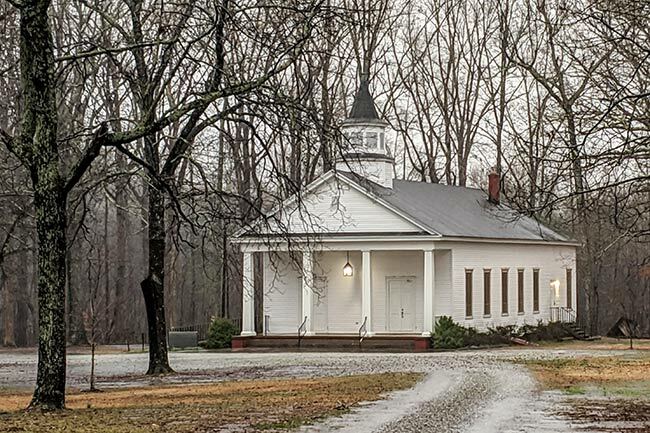 Lickville Presbyterian Church owes its unusual name to its location in Pelzer near a spring known as the Lick. This little white church was organized in 1880 by Mrs. Ellen C. Woodside with the help of Reverend C.L. Stewart, who conducted services in a one-room schoolhouse on Woodside’s farm until this frame building was constructed in 1882. 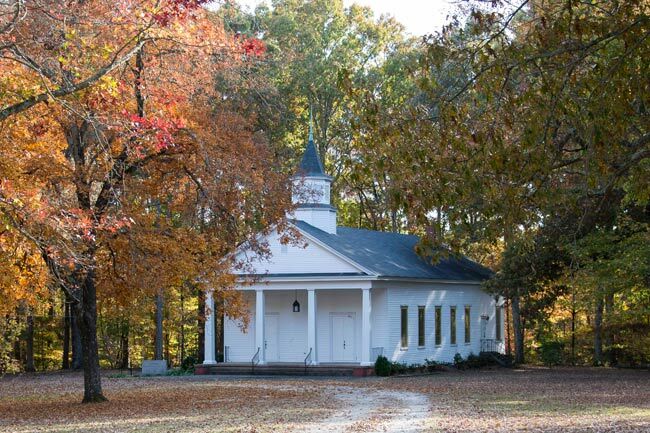 Reverend Stewart established the church with 20 charter members and continued serving Lickville Presbyterian until 1895 and again in the twentieth century from 1905 through 1921. 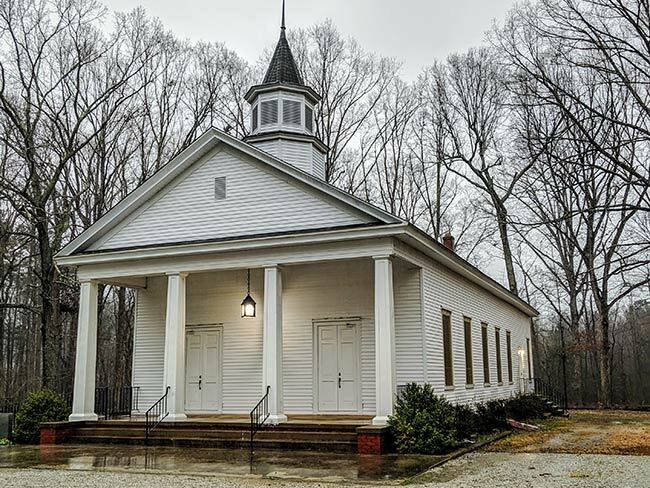 The church has been remodeled twice – in 1944 and 1968 – and currently has about 45 members. The cemetery includes the plots of many prominent families of the area. 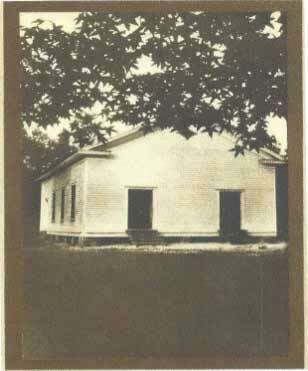 The historic photo below depicts Lickville Presbyterian at the beginning of the twentieth century before the renovations. 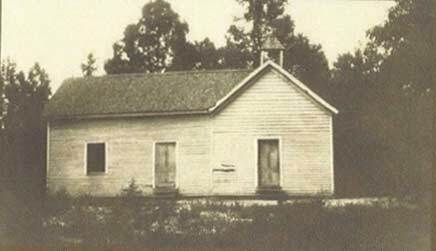 The photo below shows the schoolhouse that was on the Woodside property and used for services before the construction of the church. Today, this building is known as the Knight Activities Center. Many thanks to David Davenport of Lickville Presbyterian Church for supplying the historic photos and much of the information on Lickville Presbyterian Church. Love the picture and short bio. My great-grandfather was Rev. Calvin Lewers Stewart. I knew that Lickville was his first church, but I’ve never seen a picture before. I’ve seen his later church in Williamston. Hello Marie, we do not have the specific information on Jordan Hood but we think your best bet would be to contact the Pelzer SC Historical Society for more information. We found this contact information online: Community of Pelzer Historical Society, 864.947.8817, email: brostroncphs@gmail.com. Thanks! I am seeking information on the Jordon Hood family from your area. Do you know anyone who may have information about the road across from the Lickville Presbyterian Church? Jordon Hood was my direct ancestor. Much appreciation in advance.